This past week in-between story time at the library, trips to Ikea, planting a garden, lunch with friends and a trip to the hospital to have my car seat installed I managed to get some Easter decorating done. 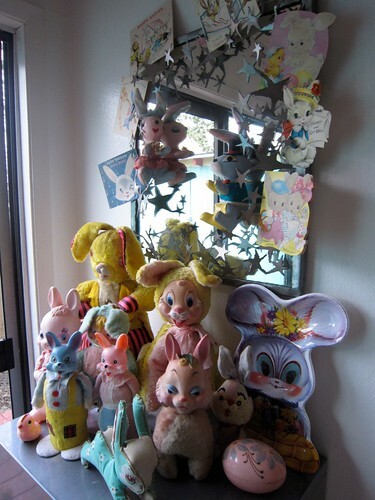 Who knew I had so many vintage rabbits. Geesh this whole toy collecting thing is getting a bit out of hand. Speaking of collecting I’m thinking I might start blogging a few of my treasures. I was totally inspired by Lisa Congdon’s A Collection a Day. Needless to say I won’t be able to paint or draw any of my collections, but photographs I can do. 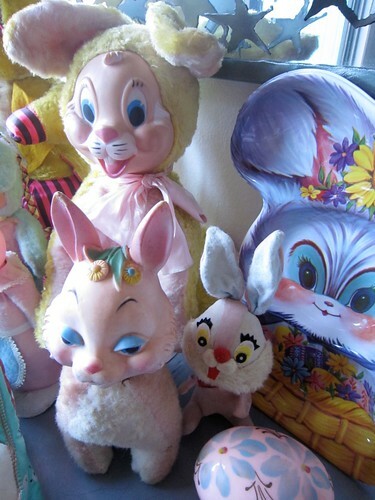 Needless to say we are starting this stroll through my collections with Easter. 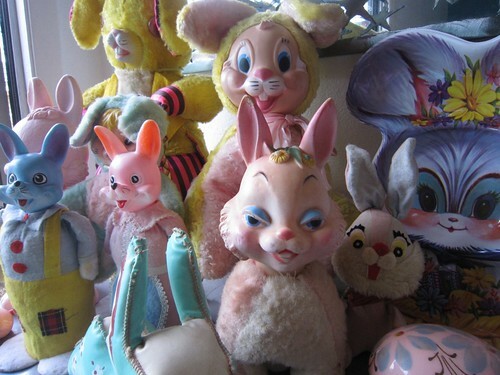 How do you decorate your digs for Easter? 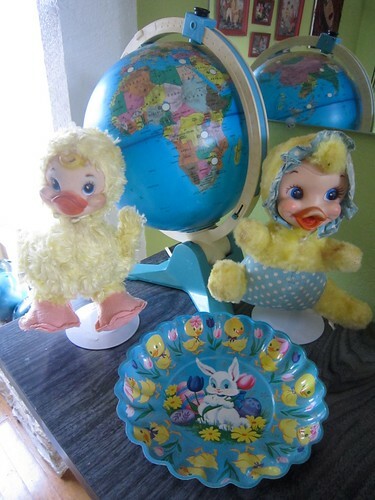 Posted March 14, 2010 & filed under collecting, Easter, Home Decorating. Ooooh!! 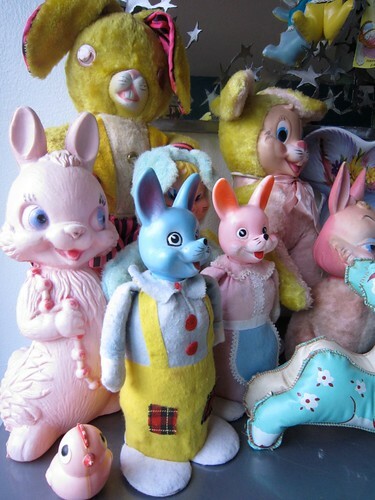 I love that little blue bunny with the yellow overalls and his little pink partner! This is the sweetest collection ever. The big yellow bunny with the pink and black ears is a little scary ……but the duckies are very very sweet . I love your bunnies/Easter collections. Some are a little scary and that is charming, too. At our house, the whole family participates in decorating. It all starts outside with a holiday flag and garden ornaments. Then we head inside for the stored tubs of appropriate collections. All the colors just warm up the house. Kinda cute and kinda scary. They look so happy to be reunited. The one in the front-left looks like she's had a few brewski.